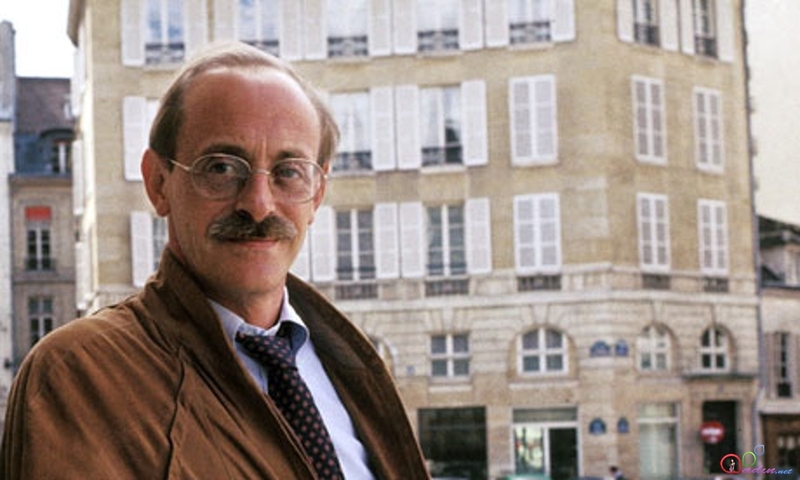 It’s hardly a matter of speculation that Antonio Tabucchi (1943-2012) set his novels Pereira Declares (1994) and Tristano Dies (2004) against the backdrop of European fascism—the former at its onset and the latter after its fall—in order to inquire, by revealing the undisclosed consciousness of his protagonists, to what extent his era was different from theirs, and to what extent it was the same. Pereira, the aging editor of the culture supplement of a Lisbon paper, and a former crime reporter, shows his mettle not when he harbours the young dissident Rossi, but when he politely goes toe-to-toe with his Salazarist Editor-in-Chief, in the brilliant twenty-first chapter. 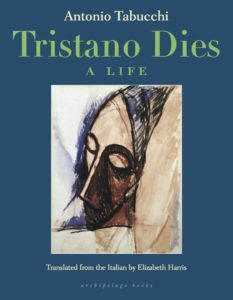 The eponymous main character of Tristano Dies complements the civilian dissent of the earlier novel with that of a World War Two veteran. This book isn’t about the past, but deals with our present time. In contrast to William Butler Yeats, who aspired to hold reality and justice in a single thought, Tristano takes the measure of our new century when he says that “at times it’s so hard to tell the difference between cruelty and justice.” Tabucchi’s sensuous and allusive prose dismantles our globalized moment and clears a space for Freedom to reside, in peace if not at ease. Elizabeth Harris’ translation expands the linguistic resources of fiction in English, much as the original text enriched the fictional landscape of Italy when it first appeared. In the course of a human life on Earth, whatever portion of meaning may be made, it will not much reside in a catalog of the differences between totalitarian fascist regimes and federal democratic republic nation-states. 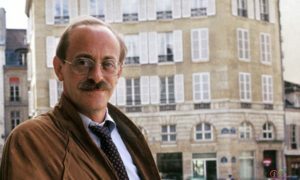 Rather, meaning emanates from the cast of mind of a person who lives within such systems, as seen in an action, a turn of phrase, a gesture, regardless of status—not “behaviour” but character—so that prose fiction, far from being a bridge across the abyss of human loneliness (that co-opted, utilitarian notion), instead transmits to all, the author included, an intimation of what is not and cannot be known, even by the author: the book’s place, the place of a work of written art within the tradition to which it belongs, and, by analogy, the place of a person in the world, and in the cosmos. We want the very posing of the question to be enough, and that desire is everything, a wish that grants itself. This entry was posted in à la carte and tagged Erik Noonan. Bookmark the permalink.